It doesn't call for "Medicare for all," but it does call for allowing Floridians to get the same insurance as state employees. 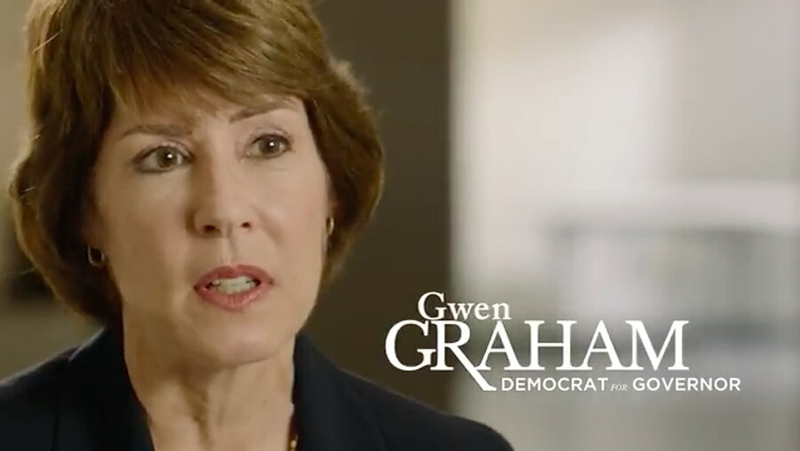 Gwen Graham is out with her health care plan, and while she doesn't call for "Medicare for all" like one of her opponents, it's the first detailed look at what the Democrat would push for if elected governor. Expand Medicaid: Graham says she would expand Medicaid to Floridians with incomes at or below 138 percent of the federal poverty level, or about 500,000 people. The federal government would pick up 90 percent of the tab, according to her plan. How would she force this on the Legislature? Her plan says she "will demand the Legislature expand Medicaid, or else she will veto their pet projects and take the issue to the ballot as a constitutional amendment in 2020." Allow Floridians to get the same insurance as politicians: Graham says she would have the state's Office of Insurance Regulation require insurance companies that serve state employees also offer insurance on the Affordable Care Act exchange. Eliminate waiting lists for senior-based programs: Graham says there are long waiting lists for state programs like Community Care for the Elderly, which provides services like adult day care, and Home Care for the Elderly, which provides subsidies for seniors living at home. She cites an Ocala Star Banner story in which an official says, "Many will die while they are waiting for services." Graham says she will "urgently conduct research to learn more about those who die while waiting, and then use the results to ensure that the State of Florida is doing everything it can to eliminate waiting lists and prevent tragic outcomes." Help sign people up for Obamacare: The Trump Administration has slashed the budget for organizations that help sign people up for Obamacare (aka the Affordable Care Act). To make up the difference, Graham says the state will pick up the tab and fund outreach efforts, "if necessary." Limit increases in premiums through 'reinsurance' programs: Graham would join a handful of states that have asked for a federal waiver to use reinsurance pools, in which an assessment helps pay for the most expensive insurance claims. She cites this Families USA post as an explanation for how the system works.